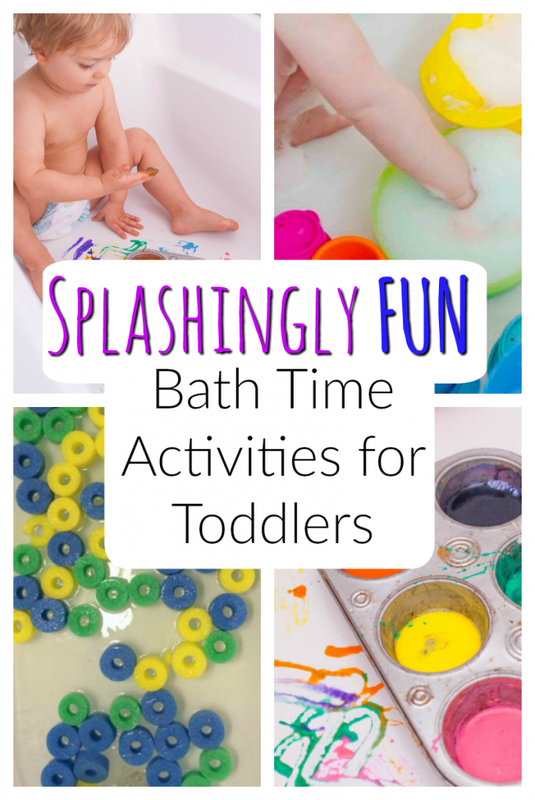 Splashingly Fun Bath Time Activities for Toddlers! Pop them in the bath. I tell you, a well timed play bath can turn any day around! 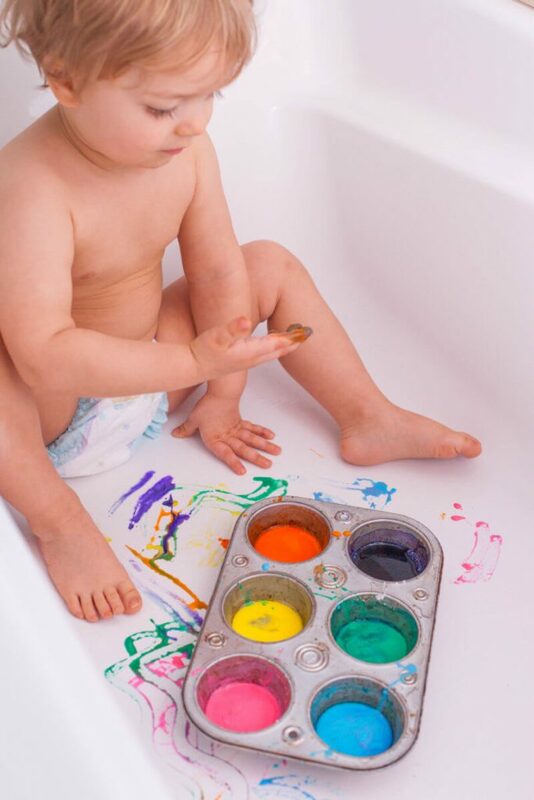 Better yet, pop a couple of these bath time activities for toddlers up your sleeve! Those cranky little toddlers don’t stand a chance. 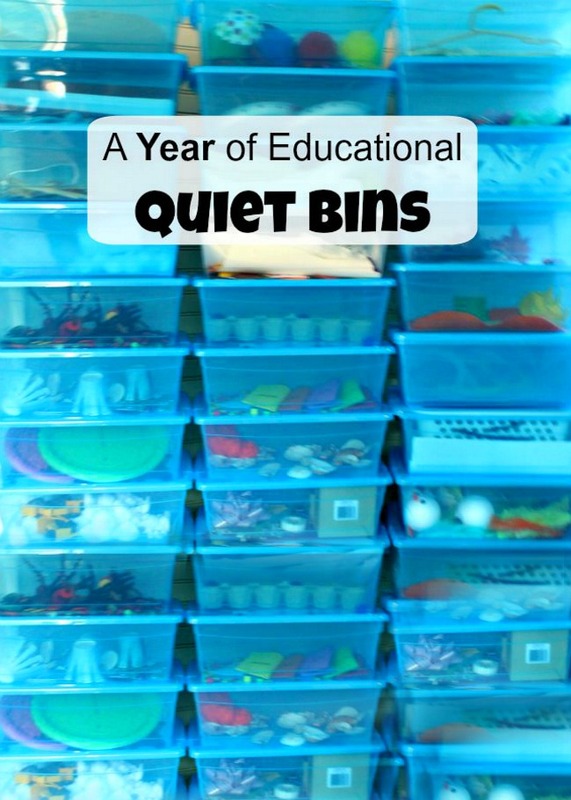 I remember one particularly challenging afternoon when I had a brand new baby, a sleepless night, and a cranky toddler. I messaged a dear friend of mine, on the brink of tears, and she told me to pop that little guy in the tub. Desperately, I poured that bath and wouldn’t you know that my little guy played happily for OVER AN HOUR in that tub. Ever since then, the bath tub has been my go to for many a rainy day. Sometimes it’s nice to add a little something special to these sanity-saving bath times. Bath Tub Water Wall. This picture is nothing special – and truly, neither was the idea! But the PLAY was spectacular. I simply took some of the attachments from my vacuum cleaner and a couple of funnels and cups and let me little one enjoy this water wall. Foam Bath Play, by Busy Toddler. This is such a fun bath time activity for toddlers – make a foam bath! 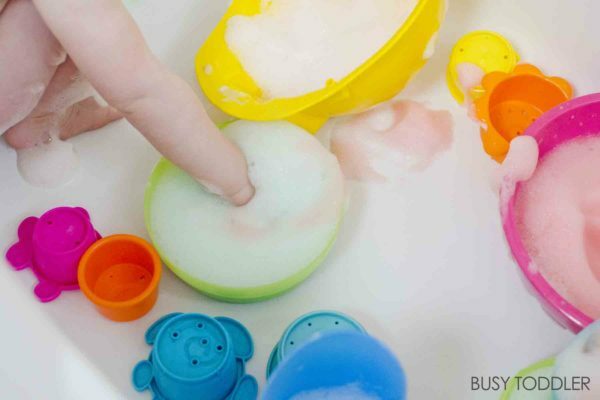 Little ones can explore the foam and make a wonderfully soapy mess while enjoying tons of sensory fun. Afterwards, a nice warm bath washes that soapy mess clean away! 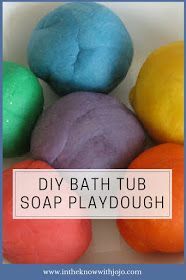 Bath Tub Soap Playdough, by In the Know Jo. Isn’t this a wonderful idea? This soap playdough is made of just cornstarch, coconut oil, and bubblebath. 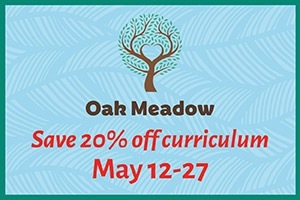 Think of all the fun your little ones would have! 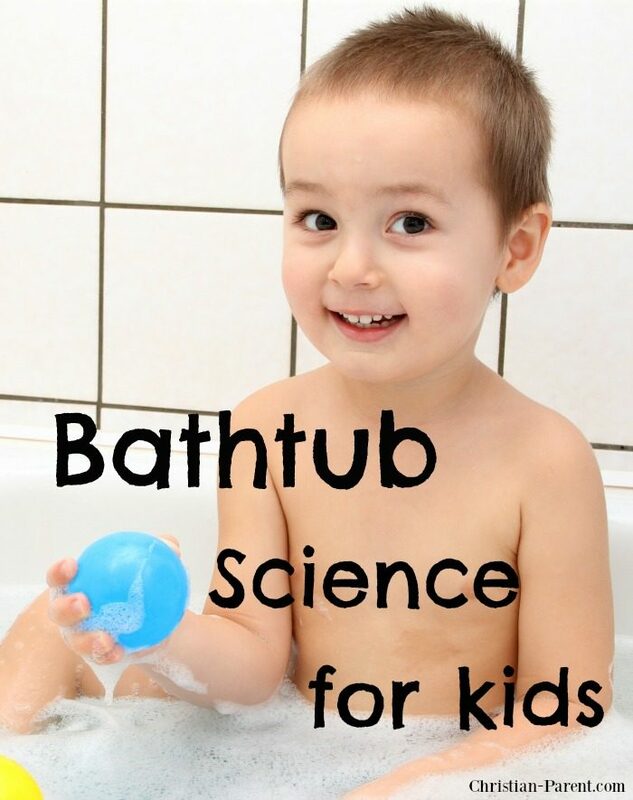 Bath Tub Science for Toddlers, by Christian Parent. 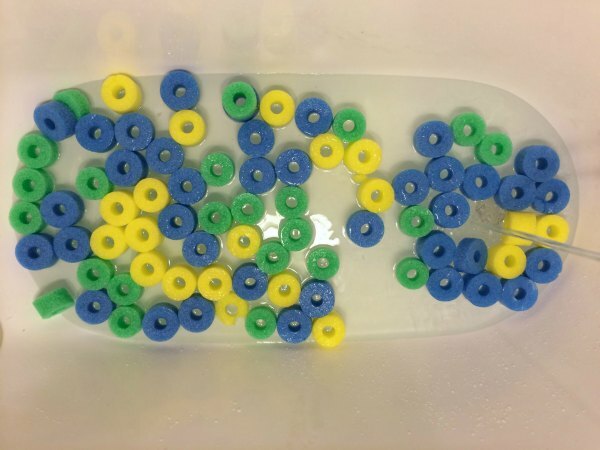 There are so many simple ways to add in some science and math fun in the tub. Measurement, buoyancy, and so many other big topics can be easily explored and played with during bath time. Bath Tub (easy clean) Paints, by Eating Richly. I really do love doing art with toddlers in a dry bath tub – it makes clean up SUCH a breeze. I haven’t had any trouble with any of our paints staining our bathtub personally, but if you want to be absolutely sure that those beautiful art projects are not permanent features to your tub this bath paint is for you. Pool Noodle Bath, by Mommy Evolution. I found this idea on Pinterest and thought it was BRILLIANT. 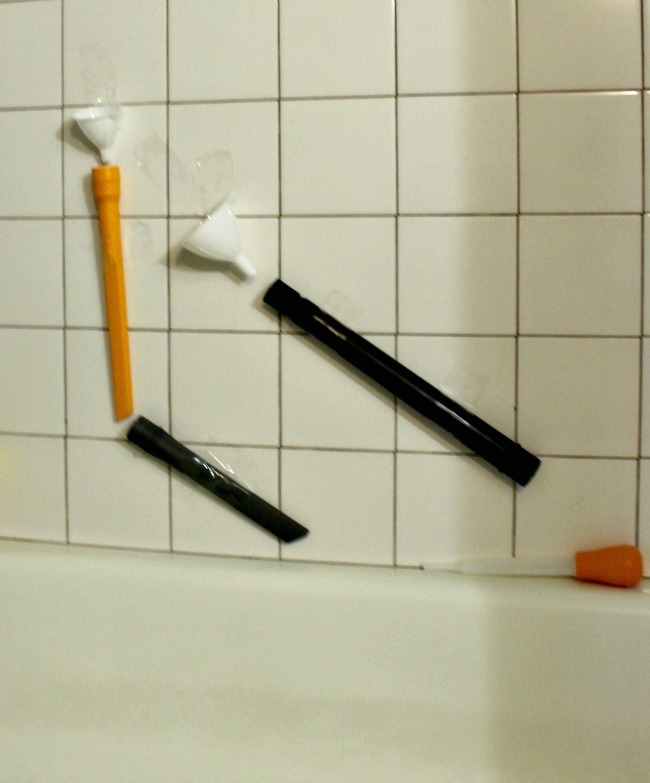 Think of all the play that could come from just two pool noodles chopped up! I used a serated knife and it made cutting these a breeze. So many learning filled play ideas stem from these bath tub blocks. There you have them friends! A few fun ideas for bath activities for toddlers (and big kids too!). 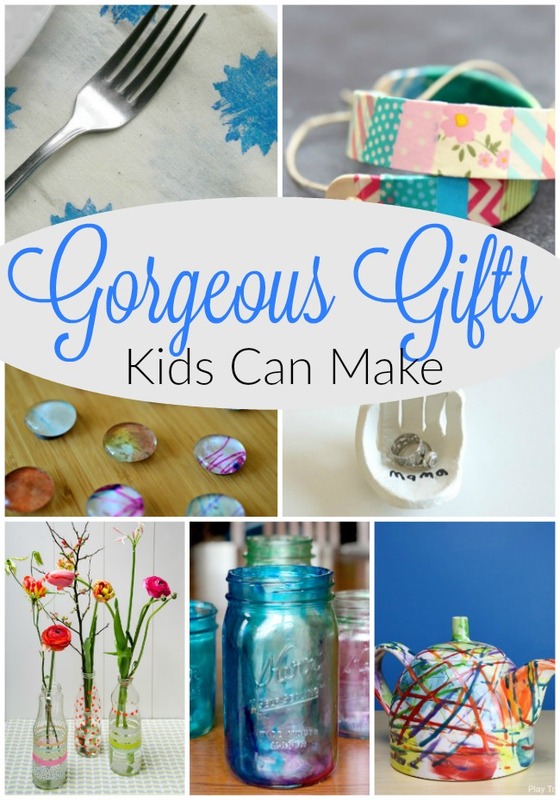 I hope you found an idea just perfect for you and your little one. Just remember – if they are crabby, pop them in water.